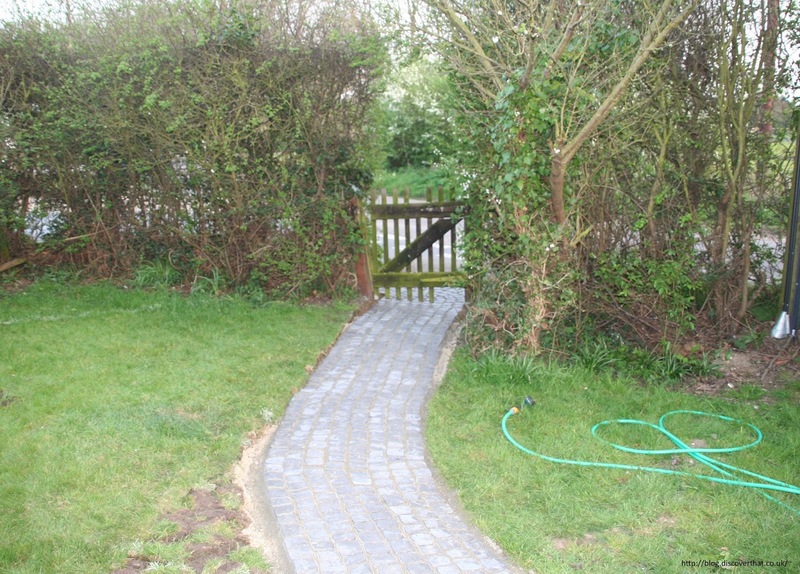 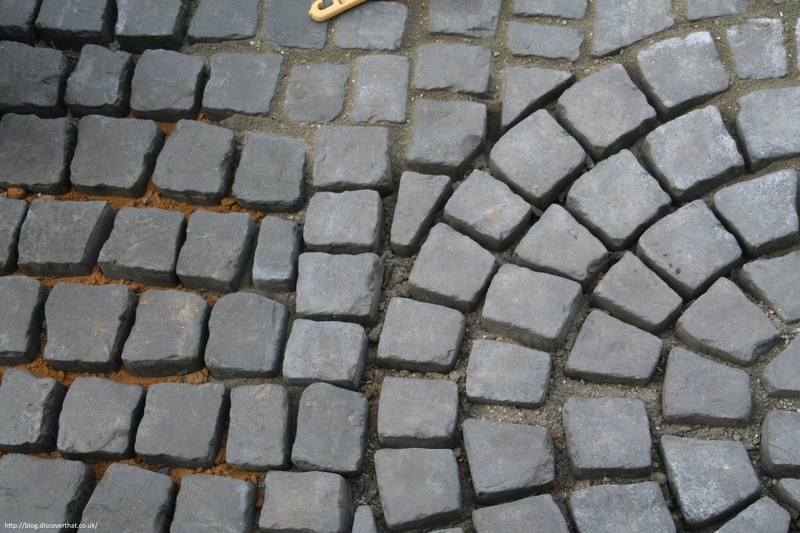 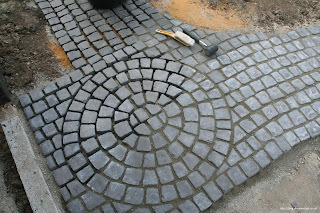 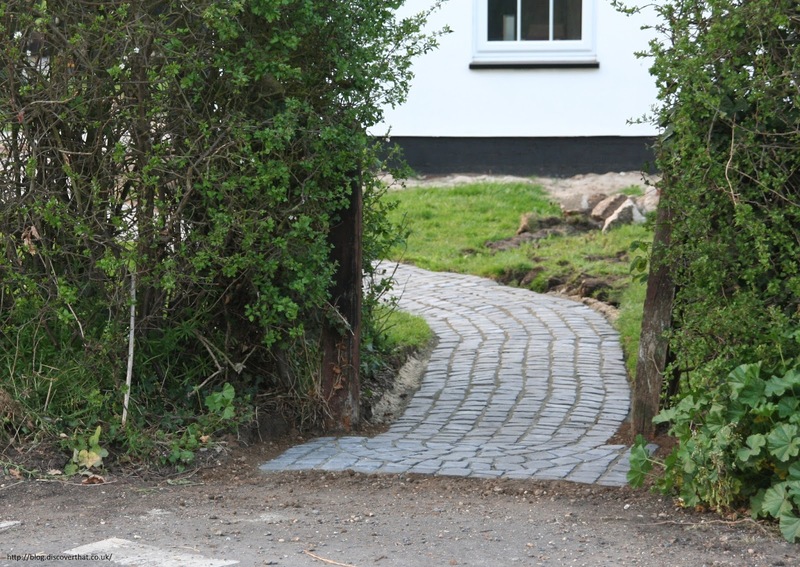 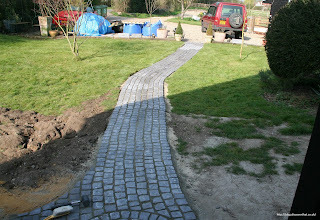 We used Bradstone Carpet Stones for our path. 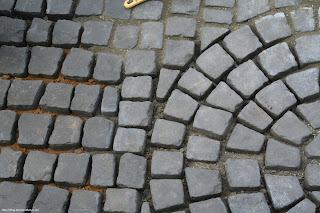 They come in moulded sheets with all the stones connected by rope. 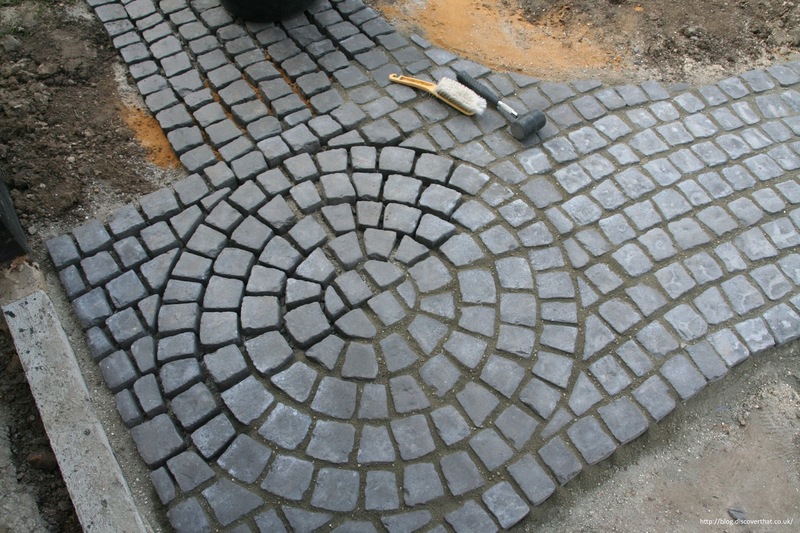 We simply laid them on top of a sand and earth base with a dry mix of cement and sand to fill the gaps.